When your children are “chatting” through social networking platforms like Facebook, they are vulnerable to predators of all types and ages. Facebook spy apps send a copy of all chatting sessions to the parent’s user account where they can review them in detail and take appropriate action where warranted. And with Facebook Spy Software, your children will never be aware that their chatting activities are monitored. One of the biggest reasons to consider using a Facebook Spy App is because your children may try to hide acquaintances that you do not approve of or other people whom you have never met. Because there are blocks on Facebook and similar programs, they may succeed in hiding their social network from you. But when you monitor computing activities using Facebook Spy Software, you will be able to keep tabs on the people that you child “follows” online and see all of their friends—even those they try and hide from you. Chances are your children know more about the computer than you do and are skilled at hiding activities they don’t’ want you to know about. For example we showcased some tricks that children know in an article titled “7 Computer Tips You Won’t Learn From Your Mom“. Facebook Spy Software allows you to monitor your child’s communications and connections in secret. By giving parents the peace of mind to know what their children are up to, Facebook Spy Software is an indispensable tool for online safety. But while Facebook Spy Apps are great for monitoring social activities on Facebook, they cannot track all computing activities. “Chatting” or the use of Instant Messages is one of the most popular ways for sexual predators to meet potential victims as the television show To Catch a Predator illustrates. To protect your child from potential threats, Facebook Spy Apps let you see what your kids are talking about – even when they delete their IMs afterwards. Unless you use Facebook Spy Apps, your children will likely be able to hide their friends and connections from you. These can include untrustworthy acquaintances, bad influences, and people your children may never have met. These are hardly people you would want your child associating with and they can be quickly uncovered using Facebook Spy Software—even hidden contacts. Checking on your child’s social network privacy settings is also essential and can not only protect them but to also stop them from putting their friends at risk from identity theft. Although Facebook is certainly the largest social networking platform, it is by no means the only platform. Yahoo, MSN, and Skype are just a few of the other ways for your children to connect to other potential online threats. So rather than relying on a tool that monitors just one communication platform like Facebook Spy, you need comprehensive PC Monitoring Software. help me how to protect my account from him!! While this program can certainly be useful, I do not think it should be advertised this way. There is such a thing as over-parenting. Parents should learn to trust their children instead of “protecting them from bad influences”. Sexual predation and the ways it is done should be taught to your children, instead of doing everything for them. Remember, you are raising them to eventually take care of themselves. I am really appreciate your thought. I think this kind of security is necessary for kids. My nephew using computer and play FB games. He is only 12 years old. Thanks for sharing. It’s pretty obvious that Mark Zuckerberg doesn’t have any kids. The day he does…we’ll see some big changes. I wouldn’t hold your breath though. There are so many of these articles coming out all of a sudden, I’m not sure about it, are these spy software really necessary? If parents are so concern with their kids safety while on social media, they might as well just tell them their not supposed to use social media until they reached a certain age. The whole idea of “spying” is just wrong to me. I think this software is great but if you really want to protect your child, educating them about the dangers of online predators is still the best. Also, I don’t think children who are very young shouldn’t be allowed on the net without guidance. I have a 14 year old and of course she is addicted to Facebook but I always tell her not to accept anyone she doesn’t know. I also monitor her activities sometimes she even asks me to log in to her account if she needs something checked for her school work. Ha! It’s tough to be in a position where one has to spy on one’s children. 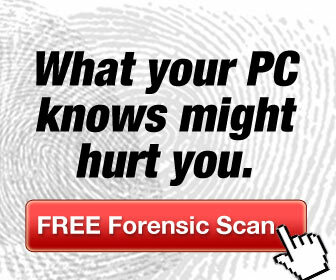 I would never use such a software. Facebook is not a place where young children need to be…u don’t learn good values, never find good infuences. practically a waste of time for a child who needs to be inculcated with values that will help him/her grow into an adult. It is such a pity that a world that talks so much about protecting children simply ignores the harmful effects that Facebook has caused and continues to cause to young people. I really hate that we live in a world where this type of spying software is necessary. To make sure I don’t have to buy this software too early, I will not let my son on social media until after he passes the legal limit of 13. He may be 14-15 before he uses facebook. Besides, he doesn’t do much on computers and would rather play outside, at least for now. But when he does start a facebook account, this software may be what I end up using. I would want to protect my children from sexual predators etc. but spying on them like that is wrong. Explain to your children what the dangers are and what to look out for and then let them go. If you don’t trust them then how will they ever trust themselves? At a certain point they should move out and live in the scary big world without mommy and daddy holding his/her hands. Most kids that I know that had freedom in a responsible way are much more independent and wise than the ones that got over-protected. You can see the difference very easily. the kids that have been raised to make their own mistakes and get guided the right way in stead of parents controlling every step. The kid with more freedom will use his/her common sense to judge if something is good or bad. The kid that has his/her hand hold the whole time will expect mom or dad to tell him if it’s good or bad…before or after. More and more children are becoming addicted to Facebook. Parents have the responsibility of protecting them from online threat so I believe PC monitoring software should be a must. Thanks. Generation these days are very aggressive and easily adopts what is being seen in the environment. It’s only a wise decision to censor some contents in the internet. If you plan to use this, you have to be sure your kids don’t catch you else that’s going to be one major issue between you and the kids. Prevention is always better than cure if you can, don’t let it get this far that you will have to spy on your kids. But if you suspect something is really wrong, then go ahead do not wait for something to happen to your kids before acting. I think you should set rules before letting them use Facebook and then let them know it will be supervised…then they have the option to use it or not??? This is best for safety reasons..
Children often do not know the consequences of theirs active in Facebook. I think, for keeping your child’s identity safe on their Facebook account you will want to talk to them about what they should and should not put in their profile. Profiles contain personal info and recent activity. It would be wise to have your child put some false information on there to mislead people who are trying to steal their identity. Put their birthdate wrong, or something like that, so that they are not opening themselves up for identity theft. I agree that fake information should be used! Even Facebook and Google have no right to track our kids details..So fake profiles are good.